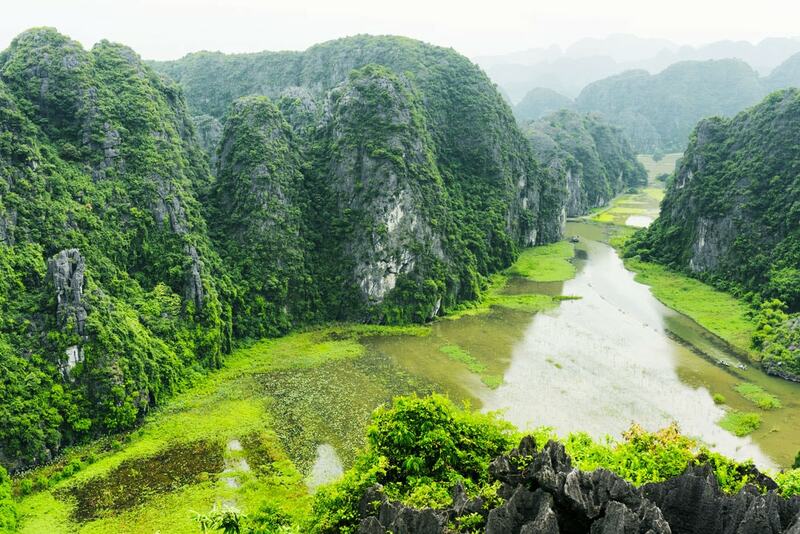 Located in Northern Vietnam, Ninh Binh has long been famous for its UNESCO-listed Heritage Trang An Complex and stunning karst spread all over the province. Foreigners often find their way to seek adventure on wheels, picturesque landscapes viewed from spiritual mountain pagodas or breath-taking sceneries captured on peaceful boat rides. 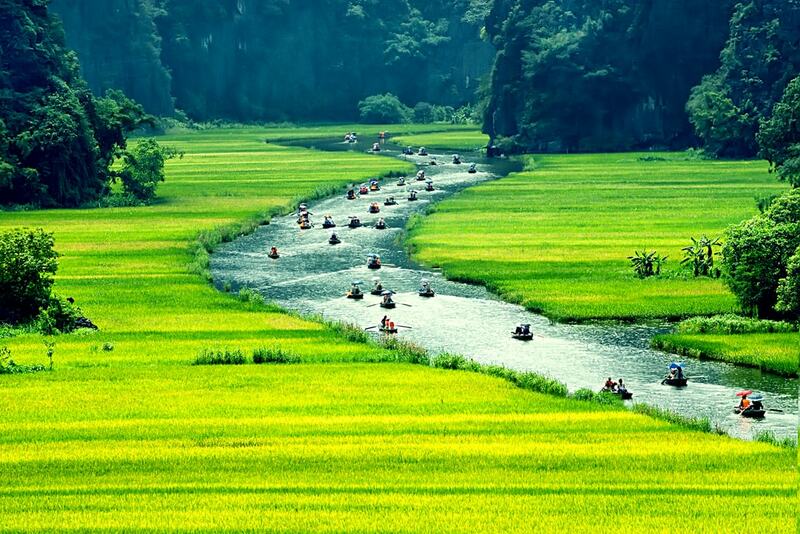 The best time to visit Ninh Binh is between April and September. 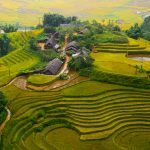 There are almost no rice paddies between October and March in northern Vietnam, but you can still enjoy the impressive views of karsts and limestones outside the rice-harvesting season. 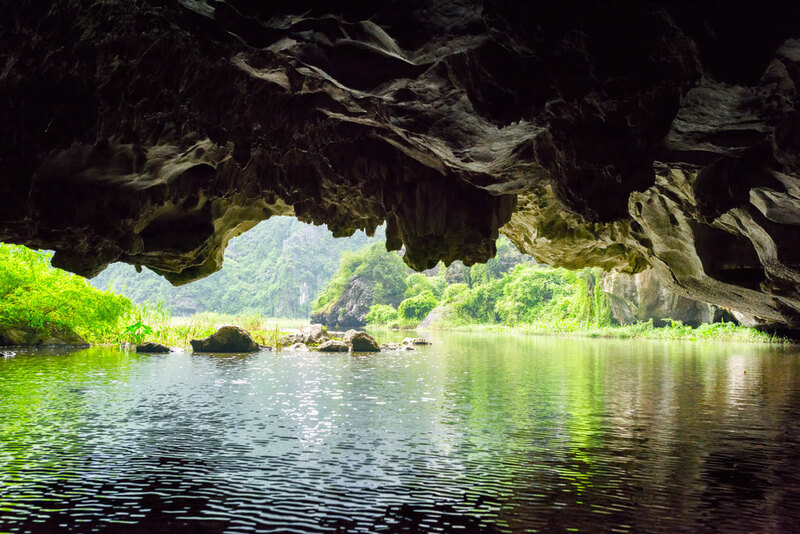 Should you wish to experience it all, you will find that exploring Ninh Binh on a self-guided trip is cheaper, more relaxed and flexible than going on an organized tour. Here’s a highly recommended one-day itinerary for travelling from Hanoi to Ninh Binh. Our one-day itinerary in Ninh Binh includes visiting the ancient capital of Vietnam, taking a boat ride through Tam Coc or Trang An, climbing to Bich Dong cave temples and exploring Bai Dinh Pagoda Complex. For the adventurers and photographers, we recommend also some alternative secret spots. More than one thousand years ago Hoa Lu was chosen as the capital of Vietnam. 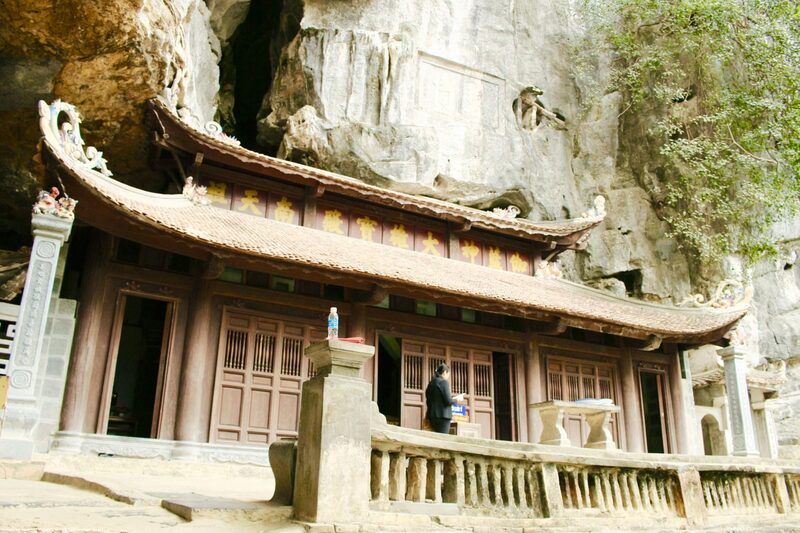 The range of limestone mountains created a natural protection for the city. Hoa Lu was home to the Dinh, the Le, and the Ly Dynasties. In the present, tourists can visit the remaining of the temples, graves, and pagodas surrounding the old capital. A special time of the year to visit Hoa Lu is April, during Hoa Lu festival where ceremonies, games and fair take place. Travelling from Tam Coc to Hoa Lu, you would be passing by Trang An Landscape Complex, which would take fairly another day to explore as a whole. 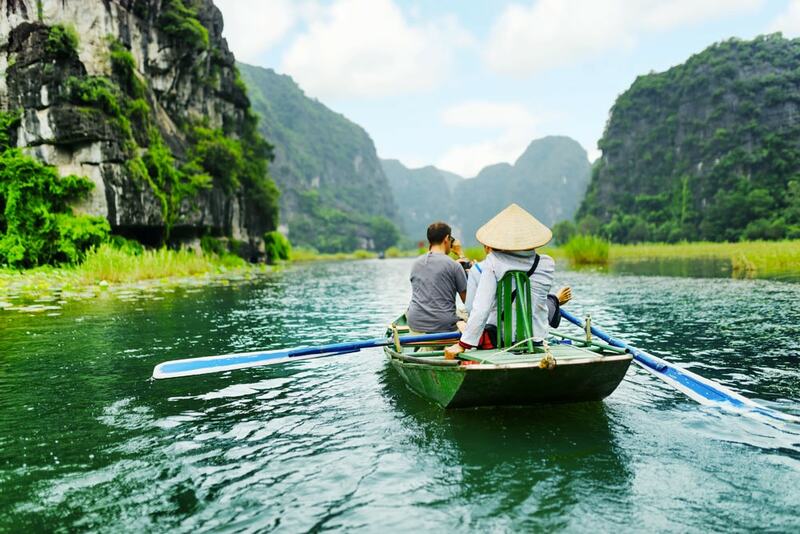 One of the top experiences of your journey to Ninh Binh is taking a boat tour. You get to choose between Tam Coc or Trang An. 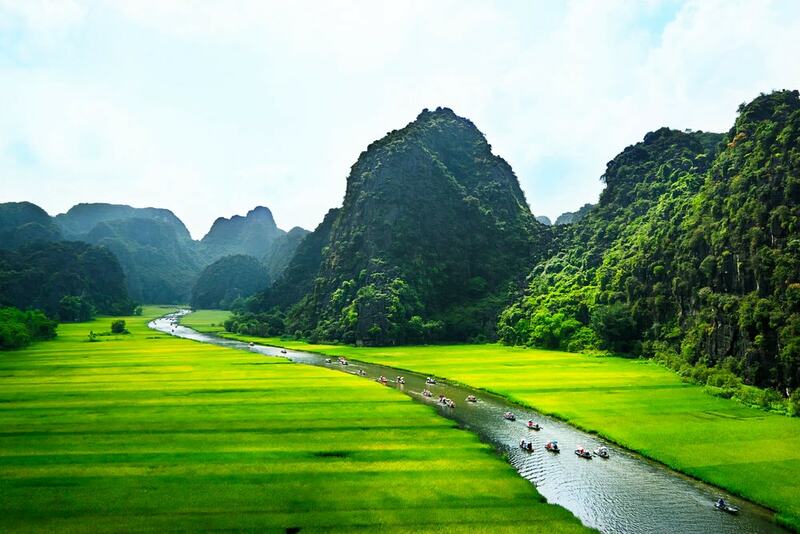 Both places offer the most spectacular and typical landscapes of Ninh Binh province, dominated by limestone cliffs ascending towards the sky surrounded by rice paddies. The best way to enjoy the karst area is to take a boat ride along the Ngo Dong river. During approximately 1-2 hours, a local paddler will take you through twisting river and the dazzling grottoes. Careful when taking the boat tour during mid-day or early afternoon, as the sunlight tends to be highly intense during these hours. Make sure you bring an umbrella, sunglasses and a hat just in case. Don’t forget to tip the local paddler at the end of your trip, as most of them must wait a long time to make a ride and struggle to make a living. 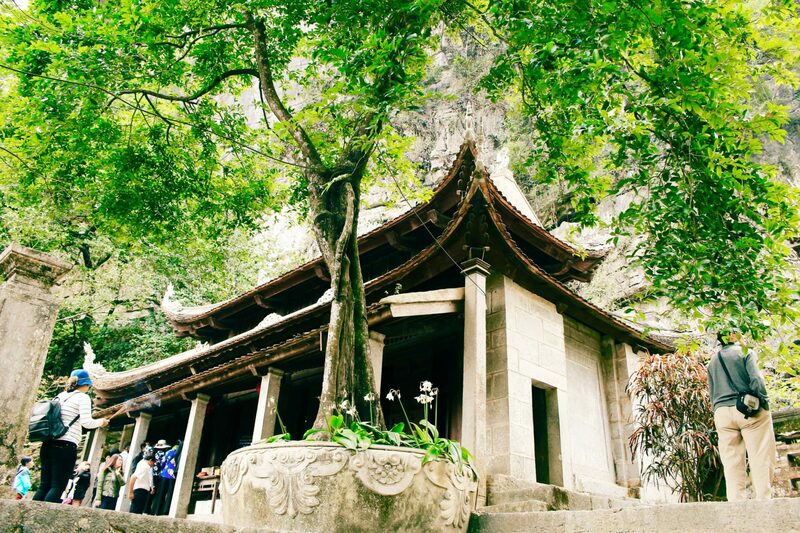 Lying only about 3 kilometers away from Tam Coc, Bich Dong is a spiritual spot you must not miss. 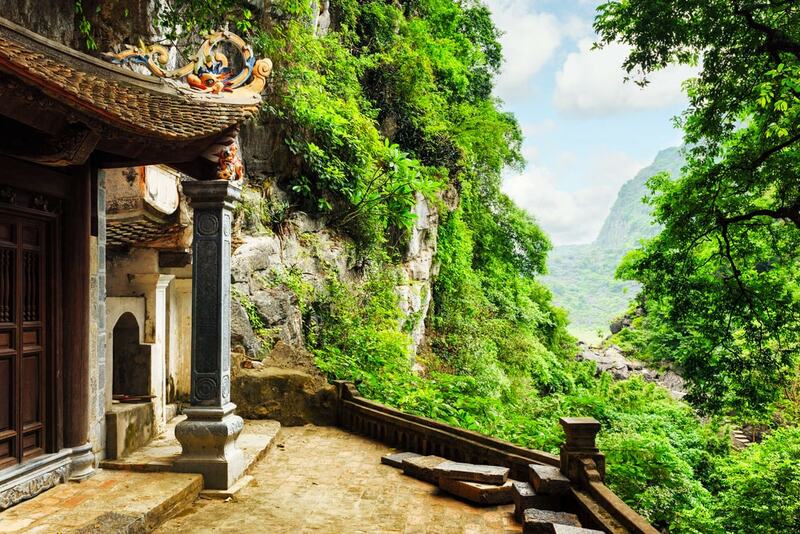 Climbing up through the mysterious cave temples, including Lower Temple, Middle Temple, and Upper Temple, it offers fantastic countryside views of Ninh Binh. Plus, you can visit nice caves and karsts along the way. It is also possible to take boat tours and explore the area further, this would take an extra three-hour time. 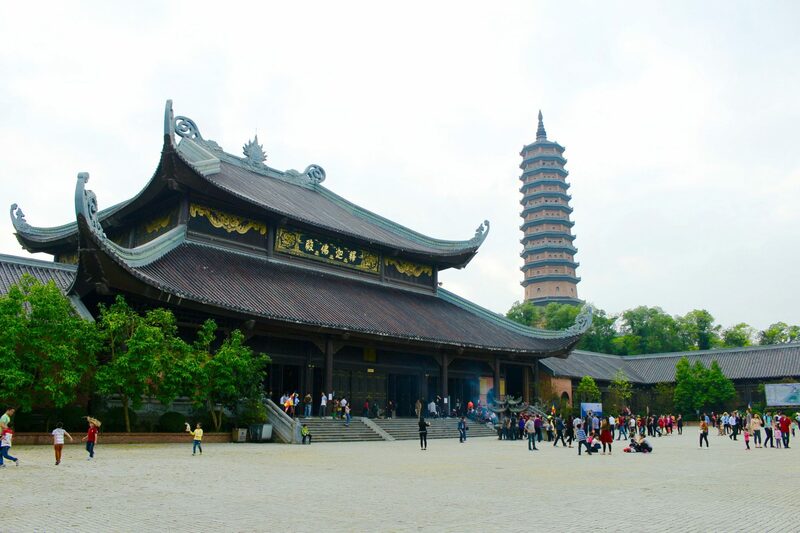 Nestling beneath the slope of Dinh mountain in the area of 539 hectares in total, Bai Dinh Pagoda Complex is a top religious attraction in Ninh Binh province. 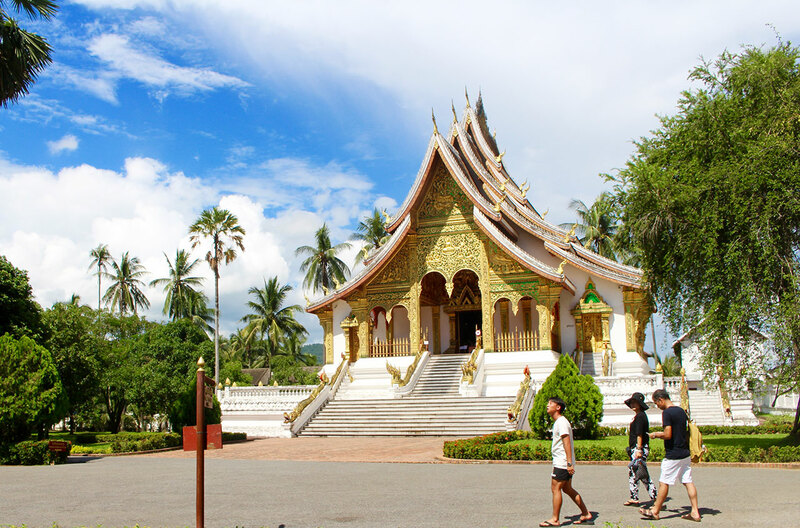 Be ready to get overwhelmed by the stunning architecture of the massive Temples of Tam The, Phap Chu, and Quan Am, Bao Thap, Bell Tower and the dormitory area for Buddhist monks. 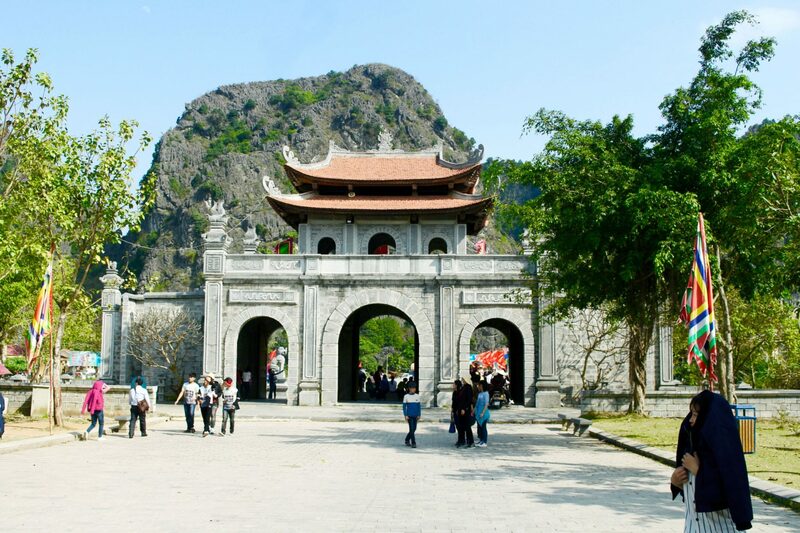 Bai Dinh offers plenty of spots for great mountain and river view of Ninh Binh: from the 13-floor and 10-metre high Bao Thap or uphill where lies the biggest stone Di Lac Statue of Asia that is 100 meters tall and weighs 100 tons. Discovering the whole area of Bai Dinh can take up to 3 hours, or even more if you wish to take a closer look at all of the 500 Arhat statues carved by Ninh Binh stone, with different positions and gestures that represent different meanings. Thung Nang is one of the best sights to photograph rice paddies in Ninh Binh. The best time to travel here is between May and June when the rice paddies blossom. If you happen to visit Ninh Binh outside this time, take a motorbike ride instead of going for the boat ride and find a safe spot to climb the mountain for photography. Hidden in Khe Ha village, only a few kilometers away from Tam Coc and Bich Dong, Hang Mua is a less touristic site known for the panoramic it offers of Ninh Binh from above. After walking up 500 steps to visit the female Buddha, you would enjoy the majestic view from the mountaintop, whilst tiny wooden boats flow through the peaceful river. Mid-afternoon is the ideal time to climb. You can get to Ninh Binh easily from Hanoi by train or by bus. We highly recommend that you travel from Hanoi to Ninh Binh by train, as you get to enjoy the scenic landscapes on the way. There are several trains running back and forth from the early morning until the night. 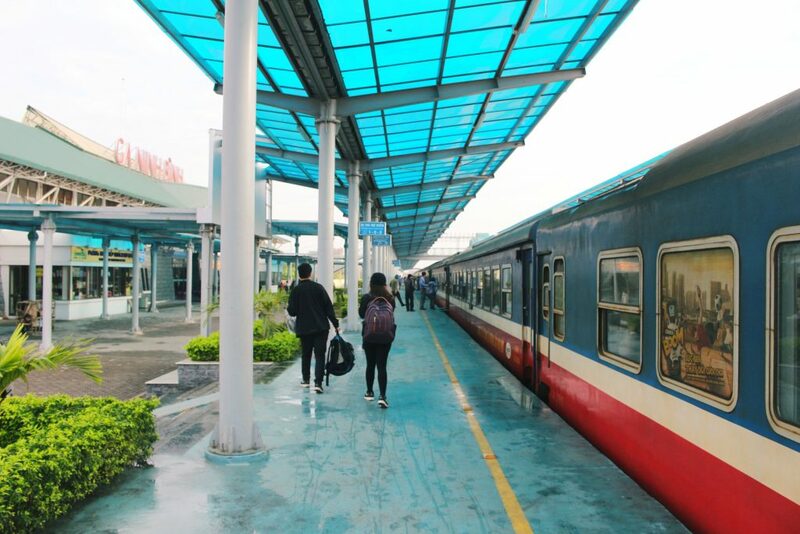 Baolau integrates online ticket booking with Vietnam Railways. If you want to visit Ninh Binh in one day, take the first train in the morning departing from Hanoi Central Station. After 2 hours you will arrive at Ninh Binh Railway Station. Hire a taxi o rent a motorbike opposite the station and explore the city by yourself, visiting the points of interest that we recommend. The last train from Ninh Binh to Hanoi will depart late in the evening, so you can spend all day in the city. Travellers can also get from Hanoi to Ninh Binh by bus. 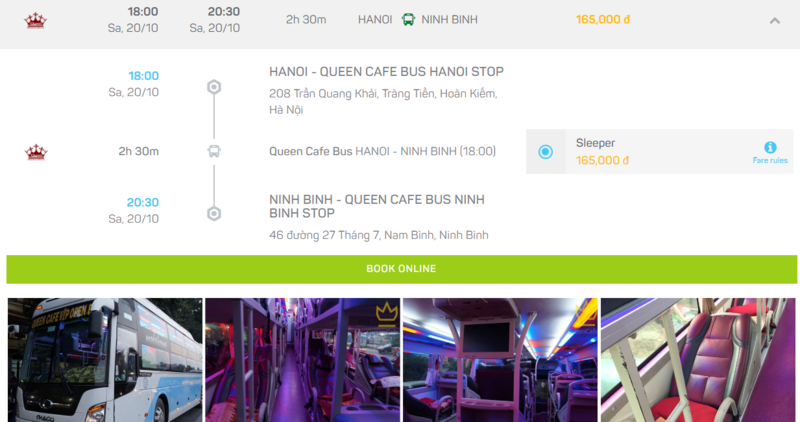 Baolau integrates bus booking service with Non Nuoc Ninh Binh and Queen Cafe. Non Nuoc Ninh Binh provides high-class, convenient and comfortable transportation services with well-designed VIP cars. The seats can slide down with adjustable buttons, and passengers can choose the most suitable and comfortable posture easily. 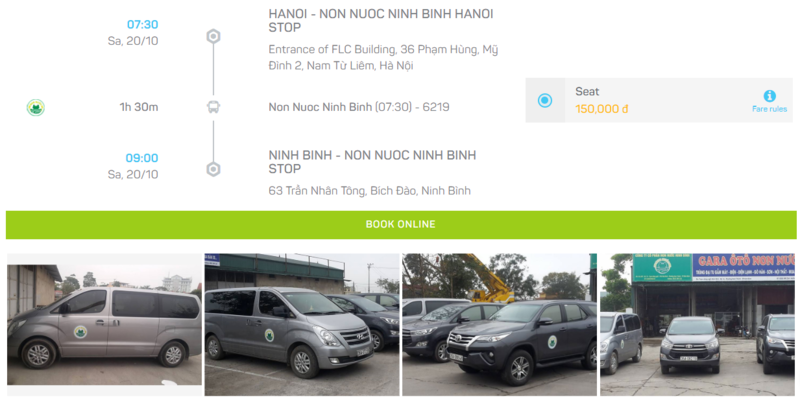 As Non Nuoc Ninh Binh’s limousine has 9 seats, you should book in advance in case the seats run out. It takes 1.5 hours to get from Hanoi to Ninh Binh. Passengers can choose the drop-off location at Tam Coc Wharf or Trang An Wharf. Queen Cafe Open Bus is a high-quality bus transport that has been reputable for 10 years. Passengers are provided with modern amenities such as free wifi, charger socket, cold towel, air conditioning, blanket, and European-style toilet.